Welcome to this week’s link party! We are so excited to have you! Did you enjoy our Gift Ideas in a jar series? You can see all of the gift ideas here. We shared some awesome ideas you may want to hang on to for Mother’s Day which will be here before you know it! 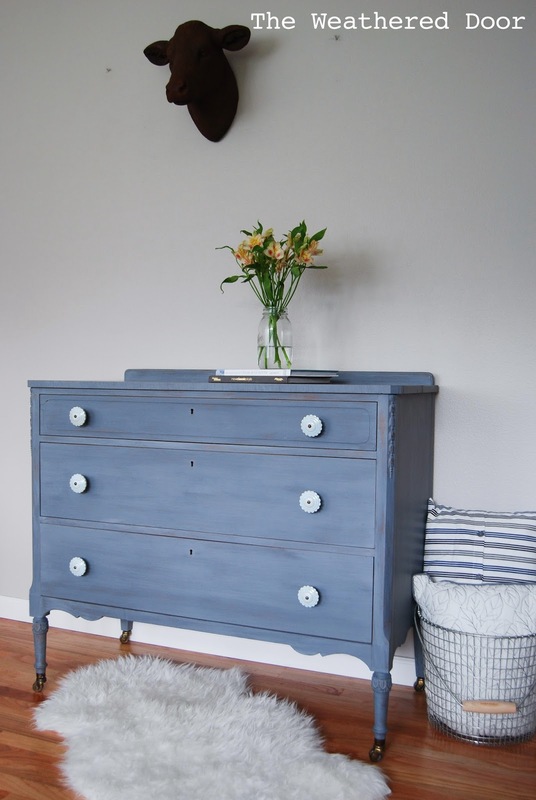 Also, be sure to check out last weeks most clicked on project, this stunning dresser from The Weathered Door. Gorgeous, isn’t it? Thanks so much for the party girls – just learned what Feedly was because of a link up lol – I had no idea!!! Thanks for the party!! I hope you’re having a great weekend! Hi! Mallory and Savannah! I am new to your party and blog. Love what I see here. Thanks for hosting! Thanks for the party, Mallory and Savannah! Thanks for hosting the party. I hope you are having a great weekend.